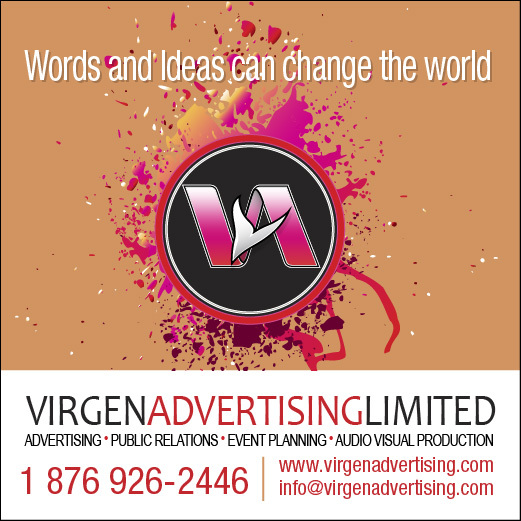 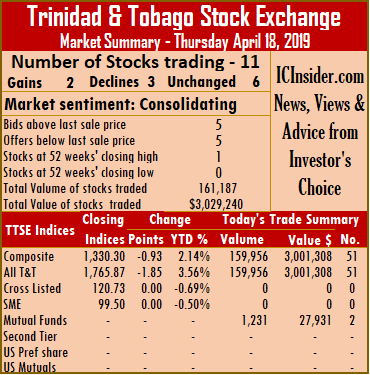 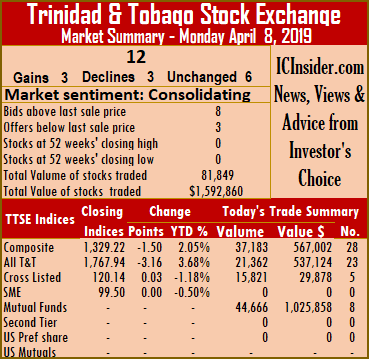 Trading on the Trinidad & Tobago Stock Exchange saw more securities being active on Tuesday, but the volume traded was almost the same as on Monday. 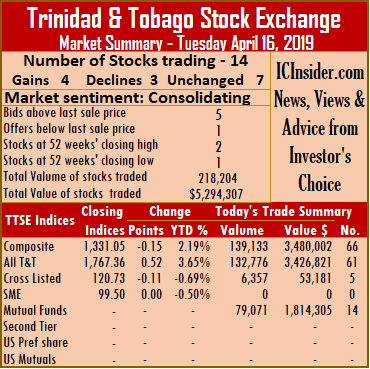 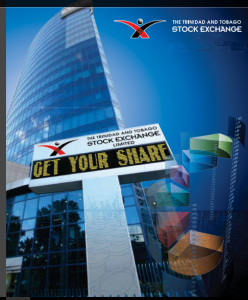 Trading ended with 14 securities changing hands, against 12 on Monday with investors exchanging 146,470 shares for $3,700,163, compared to 145,498 shares for $2,183,458 on Monday. 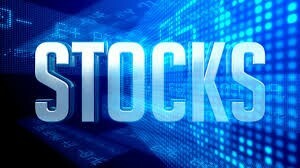 At close of the market, 2 stocks advanced, 4 declined and 8 remained unchanged, leading the Composite Index fell 1.22 points on to 1,328.47. 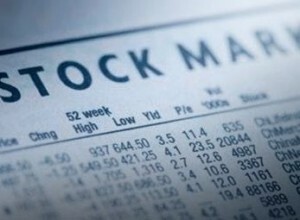 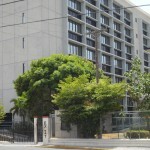 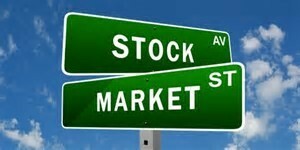 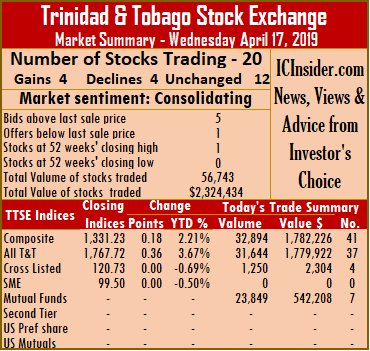 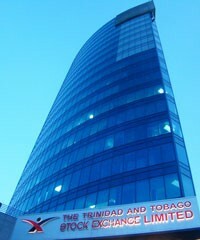 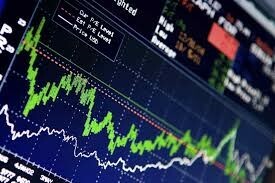 The All T&T Index declined 3.14 points to 1,765.25, while the Cross Listed Index gained 0.10 points to close at 120.31. 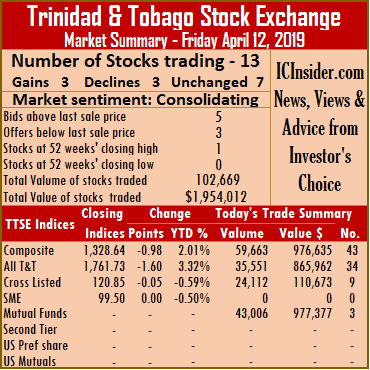 At the close of the market, stocks ending trading with gains| First Citizens increased 5 cents and settled at a 52 weeks’ high $36.05, after exchanging 550 shares and Massy Holdings rose 35 cents and ended at $53.40, after exchanging 430 shares. 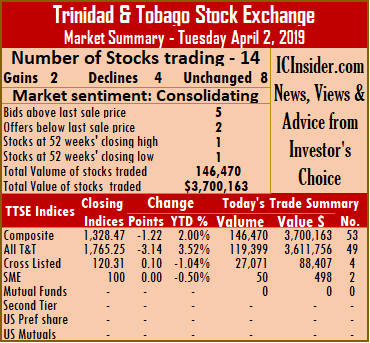 Stocks closing losses| Ansa Merchant Bank fell $1 to settle at a 52 weeks’ low of $37, after exchanging 190 shares, One Caribbean Media concluded trading with a loss of 20 cents at $10.10, after exchanging 2,025 shares. 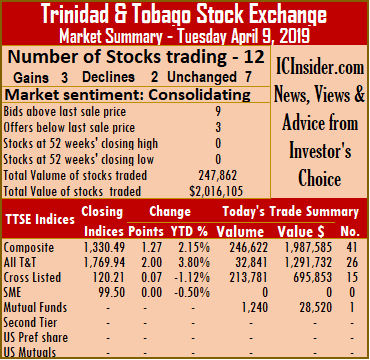 Republic Financial Holdings lost 42 cents to settle at $119.50, after exchanging 263 shares and Scotiabank fell 59 cents and ended at $63, with 2,685 stock units changing hands. 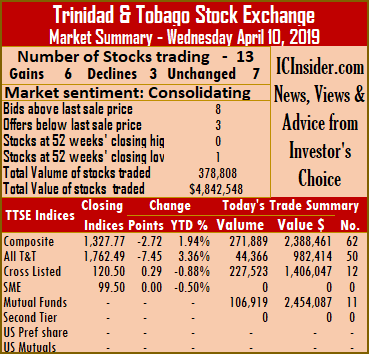 Stocks closing firm| Ansa Mcal completed trading of 20,135 units, at $55.24, First Caribbean International Bank closed at $8.25, in exchanging 1,516 units, Grace Kennedy ended at $3.30, with 20,000 stock units changing hands, Guardian Holdings completed trading of 33,837 units, at $18.25. 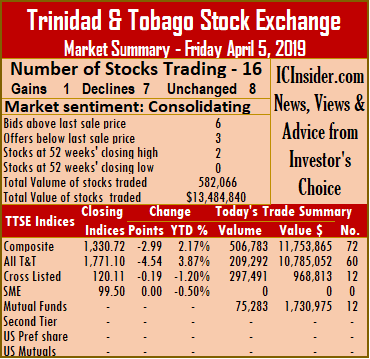 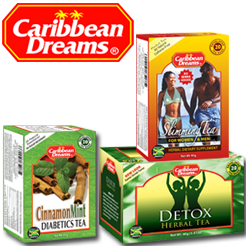 JMMB Group ended at $1.78, after exchanging 5,555 shares, National Flour completed trading of 6,710 units at $1.65, CinemaOne traded just 50 shares at $9.95 and Trinidad & Tobago NGL exchanged 52,574 units at $30.50.